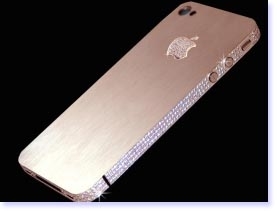 The exciting news among the gadget lovers and fans is all about the world’s most expensive Diamond -clad iPhone 4 with price tag of 5 million pounds, or roughly $8 million. The handmade bezel designed approx 500 individual flawless diamonds which total over 100 carats. 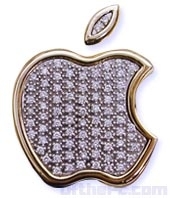 Stuart Hughes, this one is to be the most expensive iphone in the world that spells the creativity and merits altogether.., around the world among other gadgets. 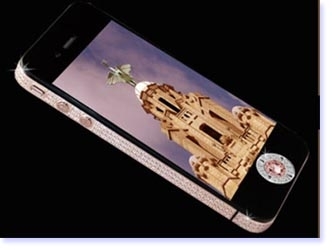 Price: The world’s most expensive phone with a total construction cost of £5 million. Quality make of : The bezel is handmade from rose with approx 500 individual flawless diamonds which total over 100ct. The rear section is formed using rose gold with the added touch of its rose gold Apple logo and 53 diamonds. Navigation: The main navigation is made from platinum which holds a single cut 7.4ct pink diamond. Also included (not shown in picture) is a rare 8ct single cut Flawless diamond which can replace the pink one. Weight: weight is a massive 7kg.The handset is 32gb and limited edition of only 2 to be ever made. Is there any thing more to do than this one..?